There are several food courts available near our office, but once in a while my officemates and I like to indulge in some western food at Astons Specialties. They serve very reasonably priced steaks, burgers, and pastas. 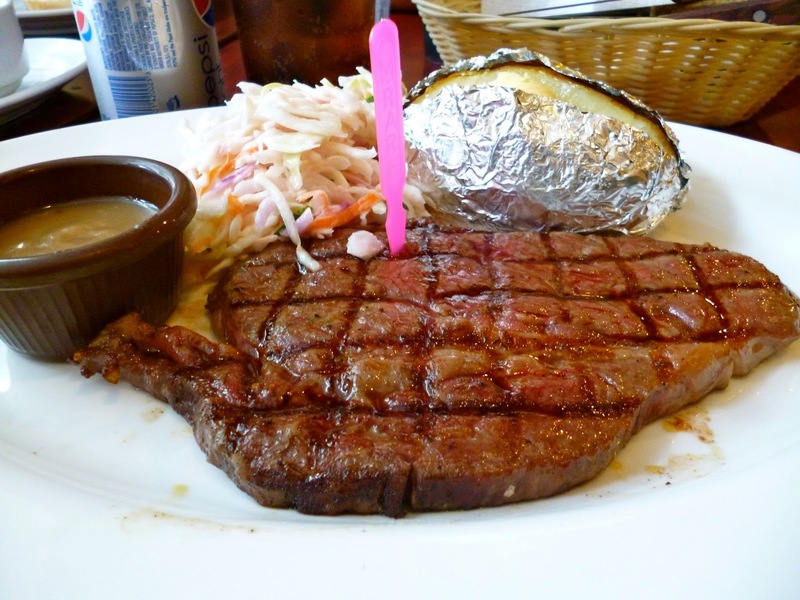 Their regular steaks range from about SGD 15 to 25 (depending on the cut) which comes with 2 side dishes. I was craving for some really good meat that day so I decided to order something a little pricier, the Wagyu Steak - Grade 6 (SGD 39.90). I normally like my steaks thicker, but I guess for the price the serving portion is good enough. The meat was solid -- juicy and had the beautiful marbling you look for in wagyu steak. My other staple in Astons is their Wagyu Burger (SGD 12.90). Thankfully my officemate ordered it so I was able to take a photo. This is a simple, no frills burger which has that homemade burger quality I like. 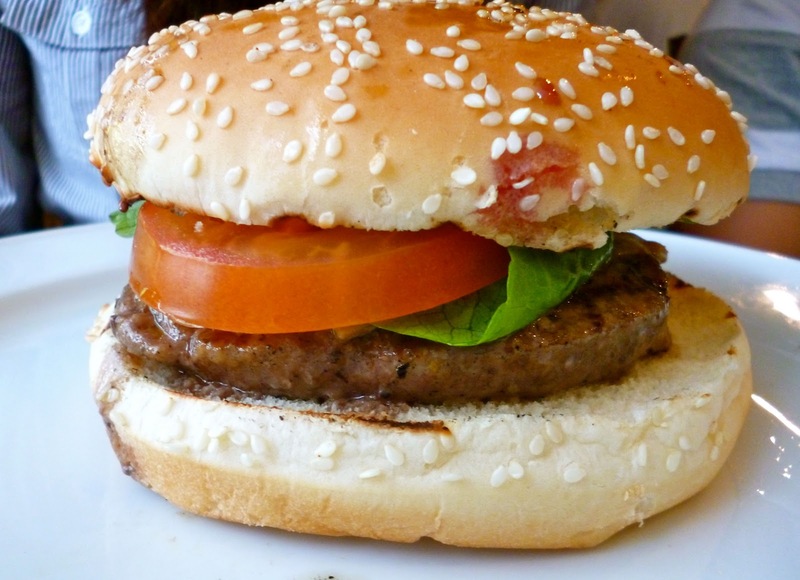 The patty is very flavorful and holds on its own with no sauce or dressing. I recommend Astons if you are looking for a good place for casual, reasonably priced, and decent western food. They specialize in grilled meats, and they have a good spread of fish, chicken, and beef choices. They have some cheaper dishes versus those we ordered above, so it's ideal too for those on a budget. * They have several other branches around SG. Check out http://www.astons.com.sg/locations.html. My wife has eaten there with Cindy, ako hindi pa. Pero luckily I found a decent (and cheap) alternative -- check out Astons Express (their food court version) :P Think Hot Rocks steaks for only S$12, also with two side dishes.